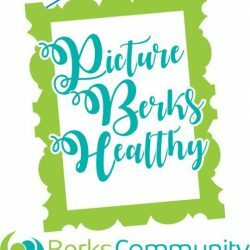 Berks Community Health Center (BCHC) is inviting county residents, businesses and organizations to “Picture Berks Healthy,” its first signature event, on Monday, March 26, 2018. Mary Kargbo, CEO of BCHC, said, “This event combines health and art. Art can contribute to good health, whether physical or mental, and we believe it is a compelling way to share Berks Community Health Center’s vision of a healthy Berks County.” The art projects are being made by participating sponsor organizations at workshops at the Goggleworks in Reading. Art forms include glassblowing, fused glass, ceramics, metalsmithing, printmaking and wood turning. The fundraising event, from 5:30 – 7:30 p.m. at the DoubleTree by Hilton in Reading, will feature artwork created by event sponsors, which include businesses, non-profits and individuals throughout Berks County. Light, healthy fare will be served, and BCHC will honor the community leaders who were instrumental in founding the Federally-Qualified Community Health Center a little over five years ago. Among the Founders is Picture Berks Healthy’s honorary chairman, Paul Roedel, retired CEO of Carpenter Technology. Other BCHC Founders being honored are: Dr. D. Michael Baxter, Margaret Bligh, Margarita Caicedo, Pat Giles, the Honorable Arthur Grim, Mary Hahn, Joanne Judge, Dr. Gerald Malick, Nick Marmontello, the late Ruth Mathews McGrath, Glenn Moyer, Gary Rightmire, Karen Rightmire, Donald Smith, Esq., , DuShawn Ware and Nancy Yocom. Community organizations also being honored as Founders are: Berks County Community Foundation, Berks County Medical Society, Penn State Health-St Joseph’s, Tower Health (Reading Hospital), United Way of Berks County and the Wyomissing Foundation. Individual advance tickets for the event are on sale now. For information or to purchase tickets, please contact Deb Hartranft, BCHC Director of Development and Communications, at [email protected]. Or call the BCHC Communications Department at 484-772-4072.